Have you found your soulmate? What's on your lover's mind? Are you on the right path in your career? Call Jeff Nelson and uncover the truth! 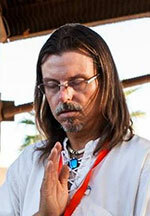 Jeff Nelson is an Ordained Psychic Reiki Master. He reads the Elder Futhark Runes and expands upon them using Tarot in conjunction with their meaning for you. As a Mage, he is proficient in all things magickal manipulating the flow of energy in the universe to assist you in the things you need in your life. His healing skills allow him to do amazing distance healings of physical, emotional and spiritual natures thru the use of Reiki. He has passed FBI background checks and been licensed. He finds things, does dream interpretation, and is able to see/feel vibrations of things. In reading, it gives him great insight into what is going on in your life. It allows him to bring it out into the open so you may figure out how to work on it. He provides information, distance healing energy and solutions. Mandy Says; "Not a speck of background was given to Jeffrey, but he was able to directly address my concerns with his very first words." Amy's response; "Jeff, I just wanted to say THANK YOU! I thoroughly enjoyed our conversation and you have no idea how accurate your reading was." And Kayln; "I was in complete shock when you told me about the family problem it really amazed me." Lorisa Also; "When Jeff did a reading for me I gave him absolutely no background information on my life and what I was going through, he seemed to know already. He told me exactly how to handle it. I know that I can trust him and can expect honesty and unbiased answers." His qualifications are; Started healing others in 1987, intuitively reading in 1994. Spiritual counselor from 1987-2001. FBI background check and licensed to read in Arizona January of 2014. Ordained May 2014. Received Reiki Master Certification July 2014. He was born with the ability to reach out and help others regain their balance in life. Jeff Nelson is unavailable ... but you can arrange a call back!